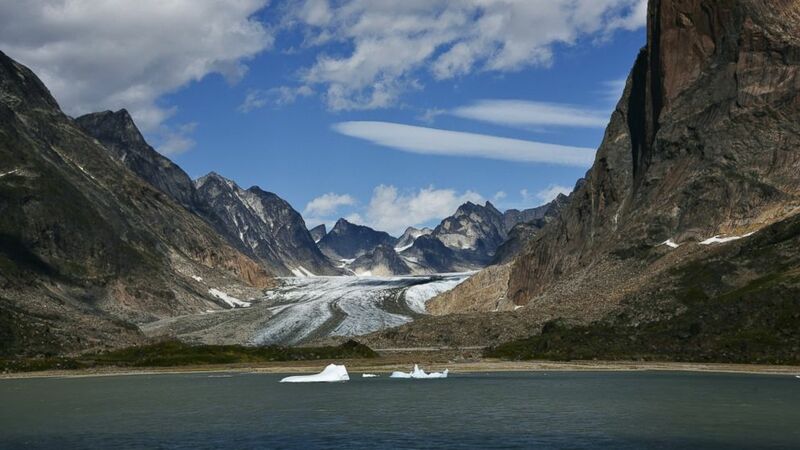 The ice melt could trigger dangerous feedback loops around world, study says. 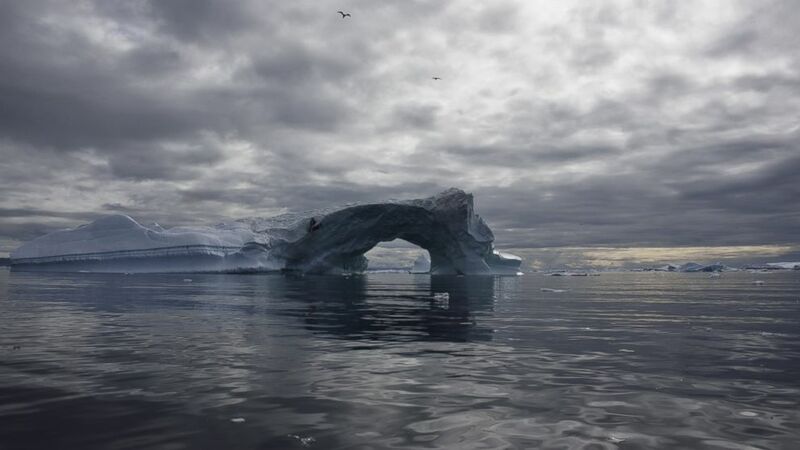 (Getty Images) A glacier in the Artic Ocean near Noway is pictured in this undated stock photo. The report produced by the Arctic Council -- an intergovernmental forum of eight member countries that include the U.S., Canada and Russia -- stressed that changes to the Arctic have "global implications," including feedback loops, a phenomenon that could lead to the rapid acceleration of ice melt and in turn raise global temperatures and exacerbate sea-level rise. Rising sea levels are already battering America's coastlines, and threatening to cause entire islands to disappear underwater. 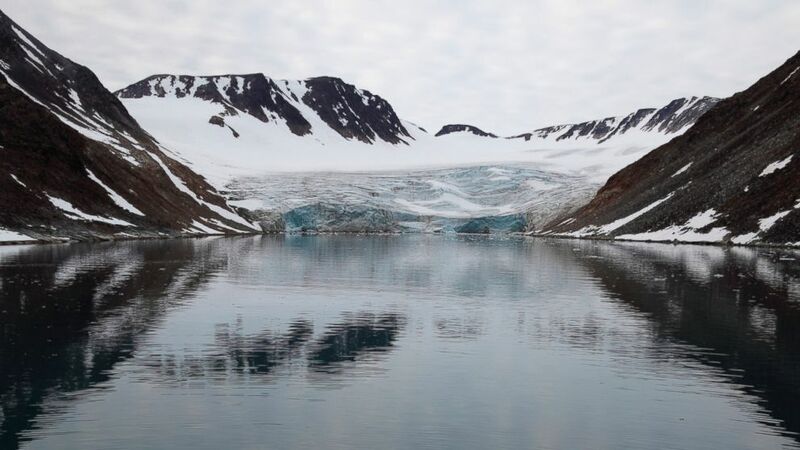 External factors, primarily human activity, is blamed in the report: "Much of the increased pace and scope of Arctic change can ultimately be linked to the impacts of human activities," it says. (Getty Images) A Greenland glacier melts into the fjords in this undated stock photo. A report in Scientific American this month appears to support the observations made by the Arctic Council, suggesting that sea ice growth in the region slowed to a crawl "and even started shrinking" after the sun set on the region. Mark Serreze, director of the National Snow and Ice Data Center, described the phenomenon to Scientific American as being without a known precedent. “I’ve never seen anything like it this last year and a half,” he said. For both America and the world, these additional reports of the Arctic's decline arrive at an uncertain time for environmental activists. 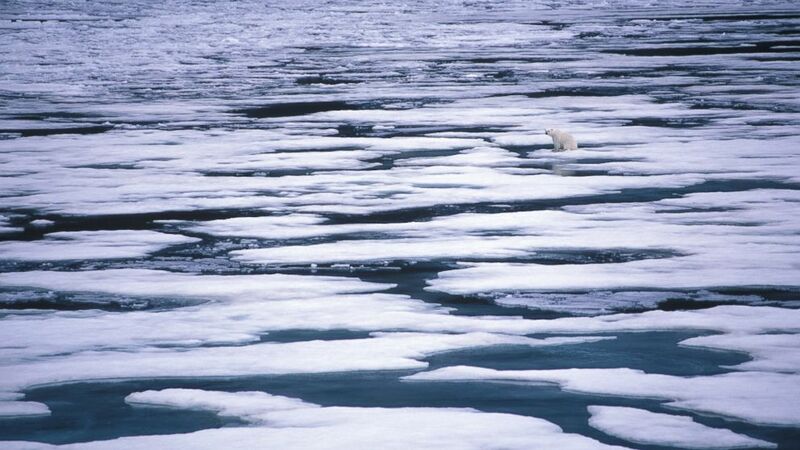 (Getty Images) A polar bear sits on melting ice in the Artic sea in this undated stock photo. U.N. Secretary General Ban Ki-moon has expressed confidence that Trump would change his approach to climate change after entering office. "Mr. Trump will really hear and understand the seriousness and urgency of addressing climate change," he said. In a meeting last week with The New York Times, Trump appeared to soften his tone on the subject by acknowledging "connectivity" between human activity and climate change. "I think there is some connectivity. Some, something," he said in the meeting. (Getty Images) A floating iceberg in Greenland is pictured in this undated stock photo. The World Meteorological Organization (WMO), an intergovernmental U.N. agency, has sounded the alarm about climate change this month. It released a study Nov. 8 suggesting that 2011 to 2015 was the hottest five-year period on record. The WMO also expects 2016 to shatter all single-year temperature records in terms of warmth. Besides the U.S., Russia and Canada, other nations on the Arctic Council are: Denmark, Finland, Iceland, Norway and Sweden.